I was able to complete one more challenge today (yay!!). This is a PR for me! I chose this week's Waltzingmouse sketch challenge WMSC44 for this project. I love the way it came together. It is very simple yet elegant. Stamps - Waltzingmouse Stamps Fancy Phrases. Ink - River Rock, VersaFine Vintage Sepia. Paper - Taylored Expressions Buttercream Choice card stock, Gina K's Pure Luxury Chocolate Brown, Blush Blossom, Webster's Pages Hollywood Vogue & WonderFALL DP. Accessories - Nestabilities, Dimensionals, Kaiser self adhesive half pearls. Thank you for stopping in. I always appreciate your comments! 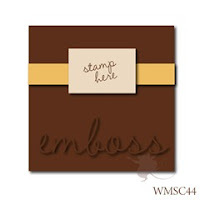 Your pretty DP and lovely embossing set off this sentiment so nicely! Love this! thanks for playing with the WMS sketch this week! Oh, Stef, this is a beauty! Gorgeous paper, label, and embossing. This is so pretty, Stef! 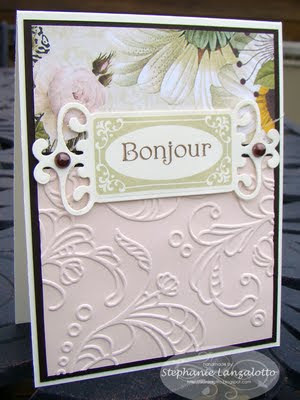 I love that gorgeous paper and the embossing works perfectly with it! Great job! Wow! That is just lovely! 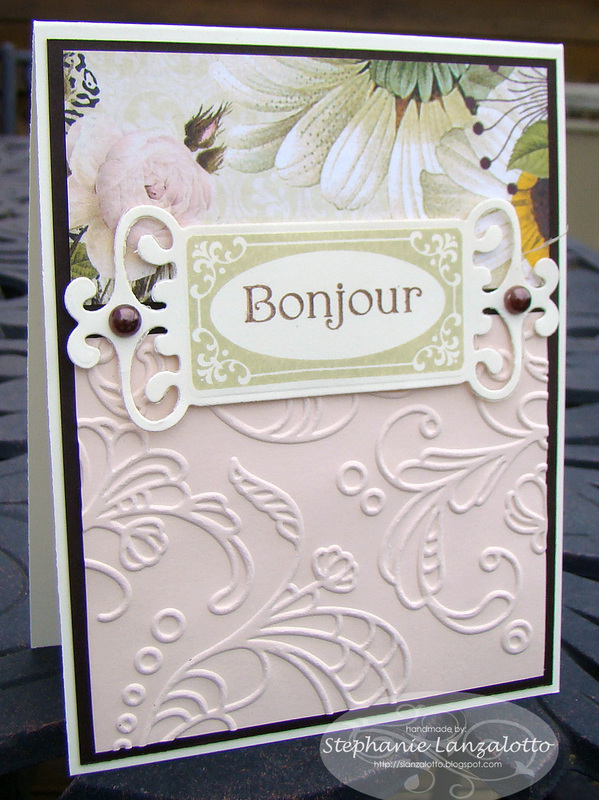 I love the embossed area and what you did with the DP too! Beautiful! See what I mean!! You are already getting followers!! You have such a beautiful style! This is simply lovely! Oh so lovely...am your newest follower. Would love for you to visit Julie's Open Window, follow along too and enjoy the fun!